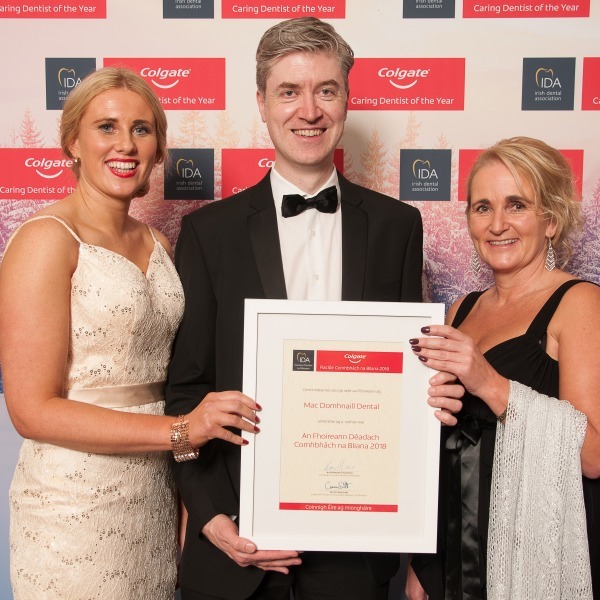 Pictured at the recent Colgate Caring Dentist of the Year 2018 Awards are Dr Susan Crean, Dr Marcas Mac Domhnaill and Caroline O Halloran. They were delighted to be nominated as Colgate Caring Dental Practice 2018. Dr Susan Crean and Dr Marcas Mac Domhnaill were both nomintaed for the Colgate Caring Dentist of the Year 2018.